Our product range comprises water-based and water-free, low-emis­sion prod­ucts. They feature quick dissolving prop­er­ties in conjunc­tion with high mate­rial compat­i­bility. 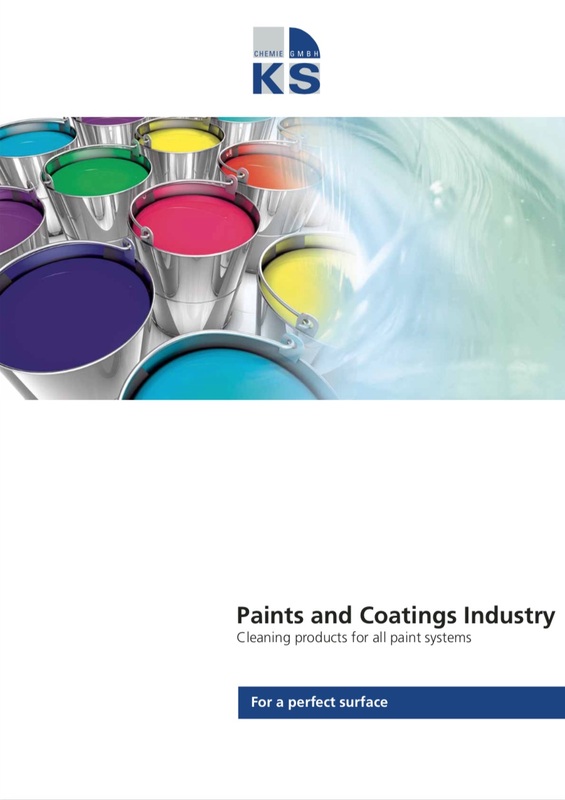 Our cleaners are applied in spraying and dipping processes.Their scope of use includes dyes and paints in fresh, dry and cured state which are used in all kind of appli­ca­tions, such as preser­va­tion of structures,industrial paints, coil-coating paints, road marking paints, printing inks, pigment pastes, anti-corro­sive paints, paints for boats and ships and auto­mo­tive industry (car paints and fillers). Mate­rial: effec­tive on all common steel, stain­less steel, chromium and ceramic surfaces. Plas­tics – only use after checking compat­i­bility. Mate­rial: espe­cially devel­oped for a water-free appli­ca­tion of aluminium, galva­nized parts and nonfer­rous metals. Plas­tics – only use after checking compat­i­bility. Devel­oped for water-based paints which are not reac­tive, cross-linked or dried with a very hard surface. Mate­rial: effec­tive on all common steel, stain­less steel, chromium and ceramic surfaces. For aluminium, galva­nized parts, nonfer­rous metals and plas­tics – only use after checking compat­i­bility. For removing of solvent-based paints even in dried state. Also suit­able for cross-linked, water-based paints and UV paints.